Basic knowledge in AV, Lighting, Set Building and Rigging. With a sound knowledge of loading and unloading trucks properly. Affinity Elite Crew all have at least 5 years experience in the events industry. 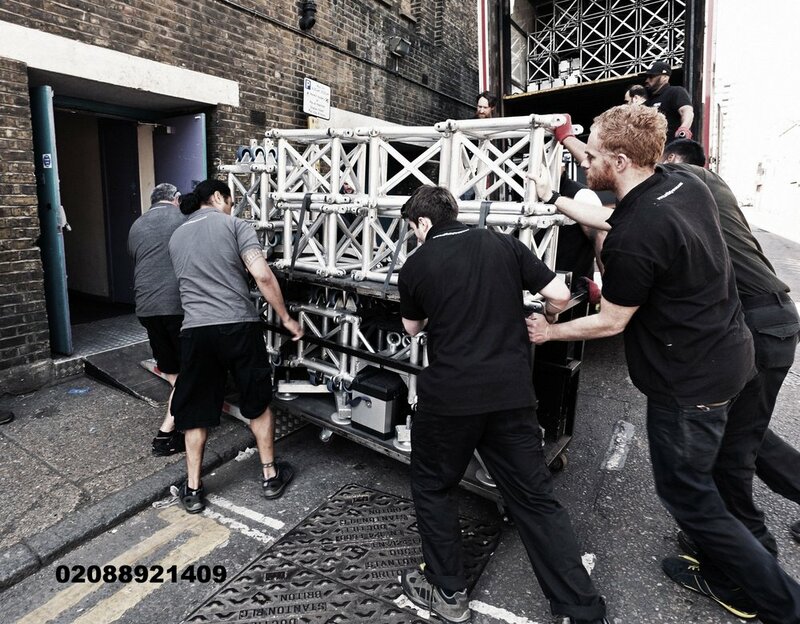 Ask for these guys if you need help with AV, Lighting, Set Building and Rigging. Our experienced set carpenters will arrive with there tools. Set up the set and staging to your specifications to an exceptional standard. Fork lifts, transit, cherry pickers, scissor lifts, telescopic handlers. We have 2 Luton vans for hire with working drivers. Great for collections and deliveries around town. Affinity Crew services cover most of the UK mainland including Birmingham, Cardiff, Leeds, London and Manchester through our local offices. Whatever your query, you can always contact us by telephone and get Affinity Crew 24 hours a day. Over the years Affinity Crew has built a reputation within the industry for its flexible, meticulous and conscientious service. Established in 2002 Affinity Crew has gone from strength to strength and is one of the UK’s leading crewing companies. Regardless of your event size, location or budget we have the knowledge, diligence and practical experience to exceed your expectations. Our crew are good at what they do. Our clients know they get value for money and that there is no more effective way of getting an event done. Our crew are our biggest asset. We really believe that Affinity is based on teamwork, integrity and moral principles.